Was 'Uncle Joe' Stalin a great military leader? 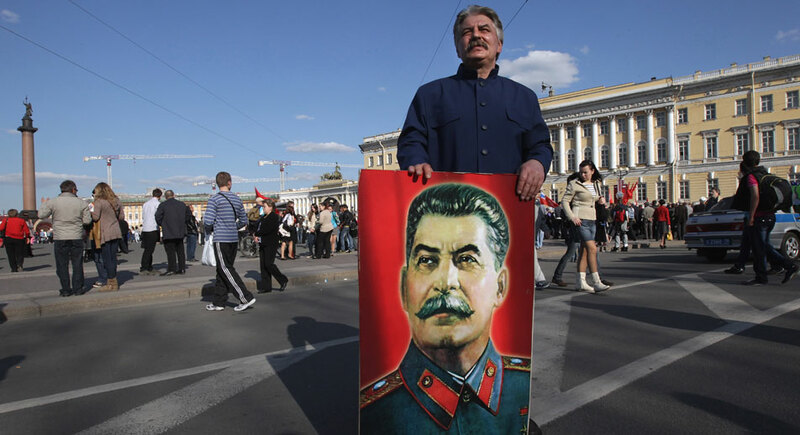 Soviet leader Joseph Stalin remains a divisive figure, both in Russia and beyond. The architect of brutal political purges, mass deportations and forced labor camps, nonetheless his domestic policies ushered in a period of unprecedented modernization, featuring great improvements in industrial output, social welfare and education. With regard to his achievements on the international stage, many books have been published, especially in the West, which not only attack Stalin’s wartime leadership skills, but also criticize his behind-the-scenes role as a negotiator with Hitler's Germany in August 1939. Here, U.S. historian Albert Axell draws upon his own extensive research, including interviews with the men who worked with and under Stalin, to offer an alternative view of his war leadership and the nation’s role in the defeat of Hitler. The so-called “friendship pact” between Stalin and Hitler (commonly known as the Molotov-Ribbentrop Pact) signed at midnight on August 23, 1939, only eight days before the outbreak of World War Two, continues to evoke controversy. Books are published accusing Russia of “betraying our western democracies” by signing the pact with Hitler. On balance, the Hitler-Stalin pact was more beneficial to Russia than to Germany. Although the pact at first angered the democracies, the fact remains that Russia gained nearly two years in which to build up its inferior military and economic might. At that time, Russia’s leaders remained fearful of a possible surprise attack jointly by Germany and Japan. On June 22, 1941, Hitler’s powerful armies suddenly attacked the Soviet Union, turning that country overnight into a partner of the democracies. During the next three years, Stalin’s Russia became the key player confronting the Nazi juggernaut. Not a few critics complain that Stalin failed to use those 22 months, when the Russo-German pact was in force, to strengthen the Red Army. What are the facts? In the late Eighties, when I was in Moscow conducting research on the Second World War, I put an important question to several senior generals who fought under Stalin: did the Soviet leader do everything to prepare for the Nazi invasion? General Ivan Shavrov, who later became a leading member of the Defense Ministry's Institute of Military History, said: “Stalin made everything possible and even did the impossible to prepare the country for defense. If the industrialization had not been achieved, if there had been no base created for the defence industry, we could not have managed during the war. “But Stalin did not take specific steps to mobilize the border military regions... If Stalin started mobilizing the troops and began taking various measures in the border military districts, Hitler could claim that Stalin was preparing for war. I pressed him on this point: is it entirely certain that casualties would have been fewer if Stalin had placed the bulk of his armies on the border? General Shavrov thought for a while before replying: “If we had concentrated many more troops in the border areas – as Hitler wanted us to do – they could all have been destroyed then and there. It is little known that far from trusting Hitler, Stalin in the critical days and weeks prior to the invasion, took a number of steps to strengthen Soviet armed forces and the border area. In the words of General Ivan Bagramyan, these steps prove “that a titanic effort was made to prepare Russia for war”. • Mid-May, 1941 – as many as 28 divisions began moving to border districts on General Staff directives. • May 27 – the General Staff ordered the western border districts “urgently” to build up from command posts; on June 10 the Baltic, Western and Kiev Military Districts were ordered to move their front commands to the newly built posts. • Early June – 800,000 reservists were called up for field training and sent to reinforce the western military districts. The vital Odessa Military district (on the Black Sea) had obtained permission to do this earlier. • Early June – instructions were given to naval vessels to intensify patrols. A number of naval bases were moved to safer locations. On the eve of the German invasion, the Baltic, Northern and Black Sea Fleets were placed on battle alert. • June 12-15 – all military districts were ordered to bring their divisions closer to the border. • Mid-1941 – Russia’s armed forces had been boosted to more than five million, almost triple that of 1939. Strangely enough, the above measures to strengthen Russia’s defences during the period of the Hitler-Stalin Pact are almost never spelt out in popular books on pre-war Russia. Albert Axell has written five books on Russia in the Second World War, its people, its heroes and its problems.